Here at Shelton Brothers, our favorite word has always been “can.” Bring in a full container of funky Belgian lambic fifteen years before anyone in America liked sour beer? Can do! Import rustic IPAs from Mediterranean garage-breweries whose own neighbors didn’t know they existed? How can we not? Stock an expensive stout from Scandinavia named after our current U.S. President? Yes, we can. Truth is, we’ve never been a company that just sits on the can watching beer trends float by. And the most important new trend, one we heartily embrace (especially in summer! ), is the return to canning of quality beer. So let’s just can the puns and get to the brew. It’s no secret that Dane gypsy Mikkeller has been offering a wide range of beer in cans for a while now. In fact, too many to mention here. So we’ll just rattle off a few favorites that should be crushing it this summer. We’re excited to have back in stock the Keeper Pils, a lovely 5% chugger that’s perfect for a hipster beach trip or non-competitive co-ed volleyball match. For an old-fashioned camping jaunt, try the Stateside IPA, one of the very first beers Mikkeller ever sent to the U.S. We haven’t had it in years, and it’s finally back, this time in a slick can. Then there’s Wit Fit, Mosaic BIPA, and, well, many more. Take your pick! 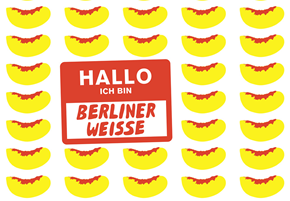 And if this is the summer to try something totally unknown, like water polo or synchronized swimming, pair with a brand-new Mikkeller in cans: Ich Bin Berliner Weisse, at a classic 3.4%, in both Peach and Sour Cherry versions. Former students of Mikkeller (now all grown up and famous on their own! ), those other gypsy Danes To Øl have got something in the can themselves. 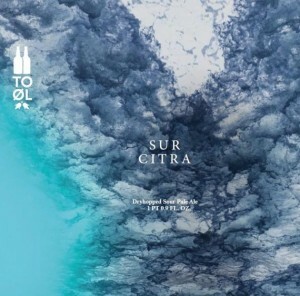 And what self-respecting Yank beer geek can resist their Sur Citra, Sur Mosaic, and Sur Simcoe? These rugged ales are just perfect for that software start-up company softball game, and unlike most of the participants, they touch all the bases: sour, American-style wild, and dry-hopped. Loaded with flavor, but weighing in at just 5.5%, 6%, and 4.5% respectively, these crowd-pleasers will last well into extra innings, unlike that starting pitcher. Anyway, no one will be keeping score by then and you’ll need to make another beer run! Cans only please.